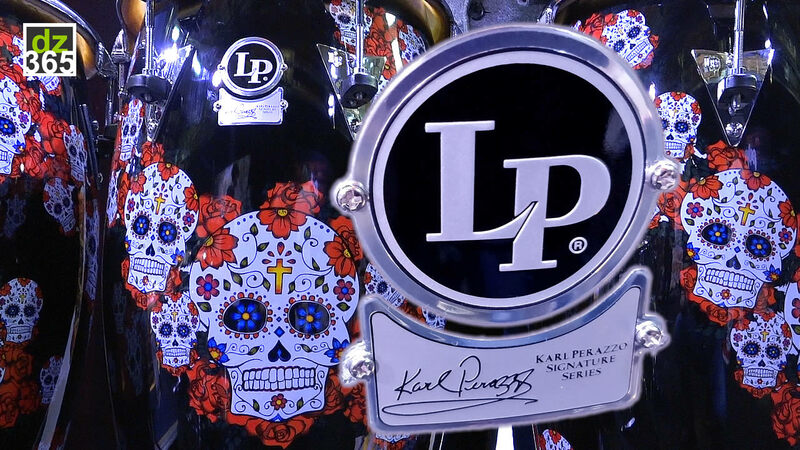 Re-launched at the 2013 Winter NAMM show after a decade's absence, Ayotte once again made a strong impression at this year's NAMM Show. 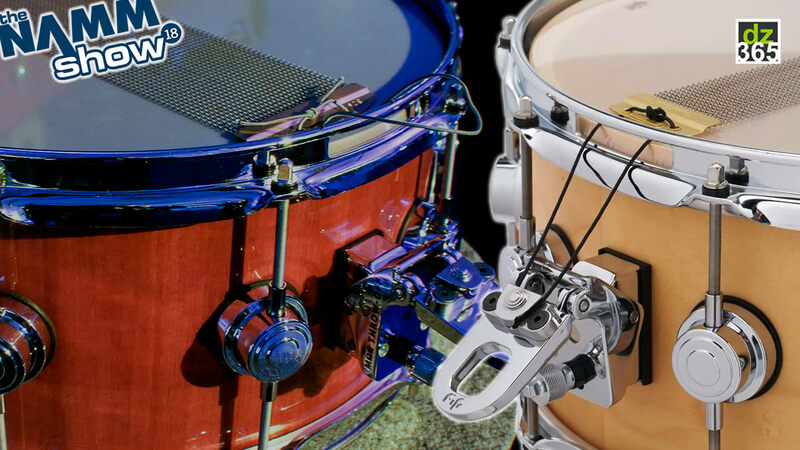 New for 2015 are a new drum set in the Bedford series plus two New Era series snare drums. 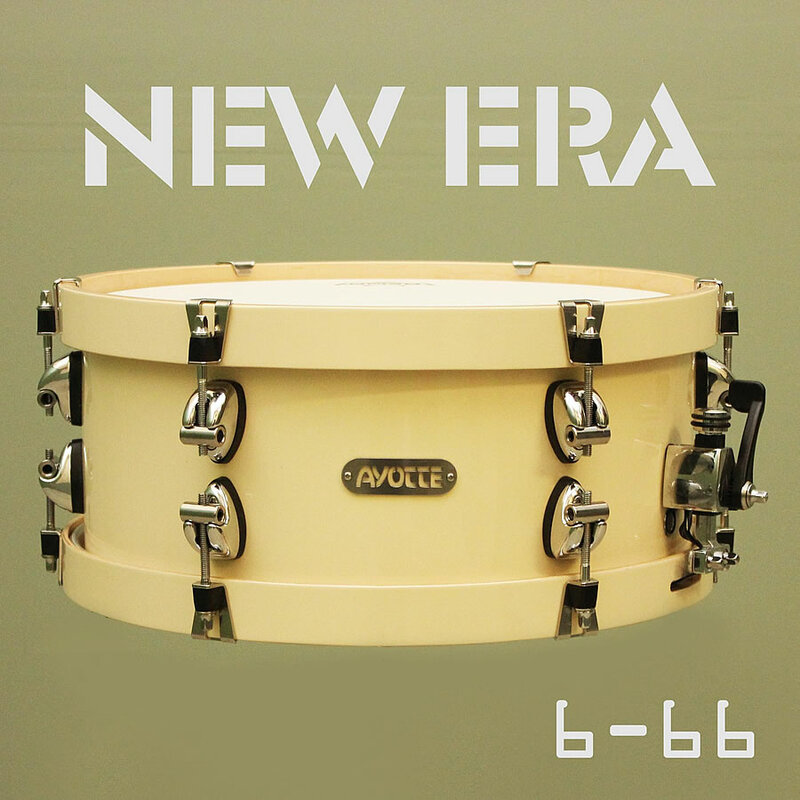 The New Era 6-66 snare drum features a six-ply shell with six ply rings and six tensions. 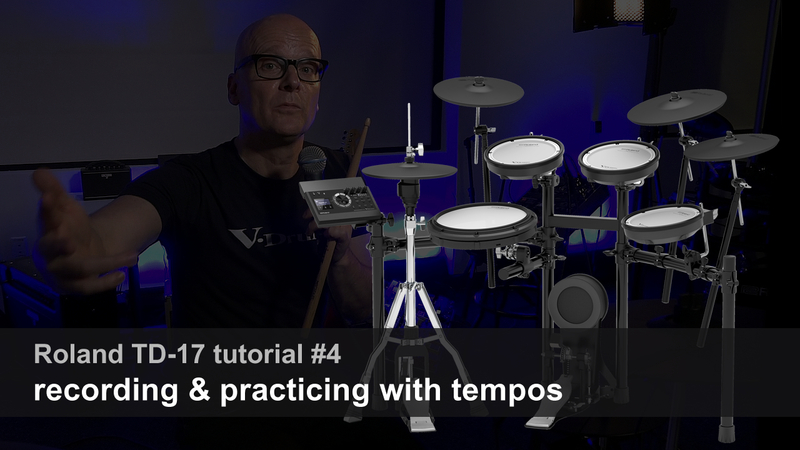 A light snare without compromising performance; it's warm and said to be perfect for thin heads and light to medium tension. 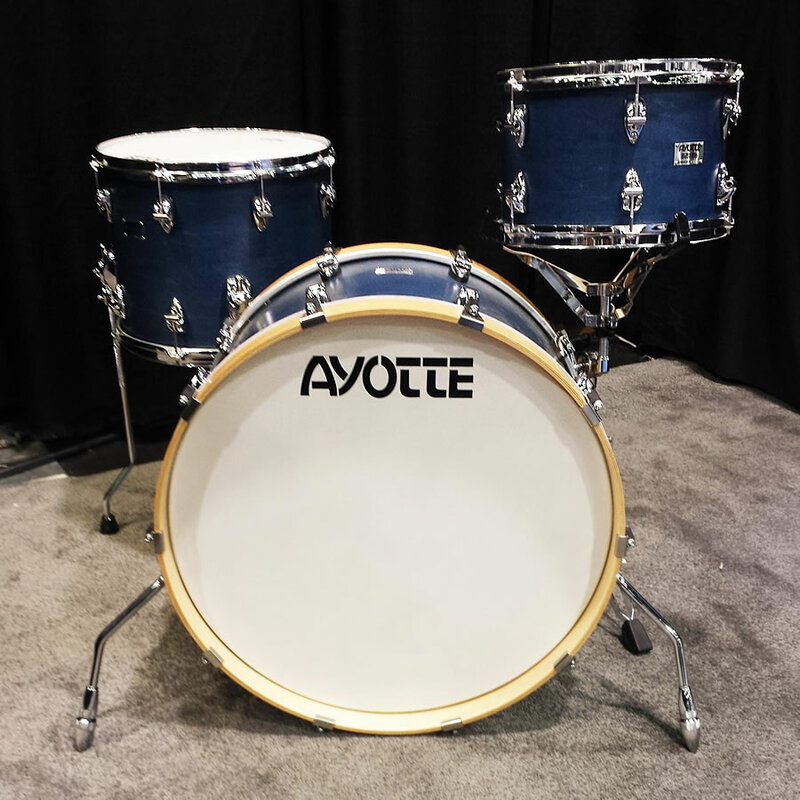 Ayotte Tune Lock System will allow this six-lug snare to never go out of tune. 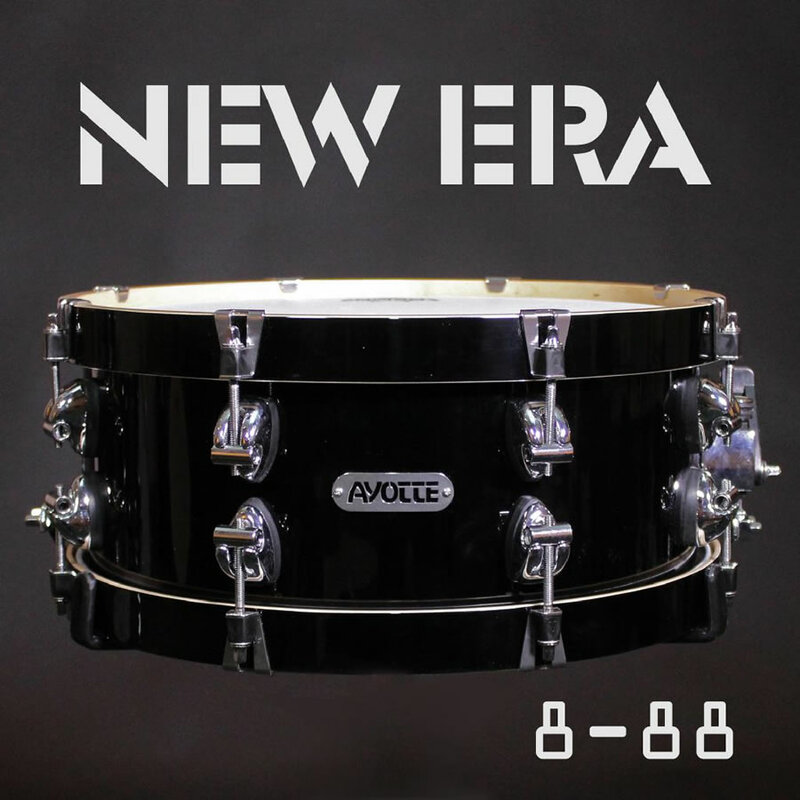 Ayotte's New Era 8-88 snare drum is an eight-ply shell with eight ply rings and eight tensions. This snare is centered, punchy and loves medium to medium high tension. These two New Era snares are a perfect complement. Have one as your main and the other as your second. 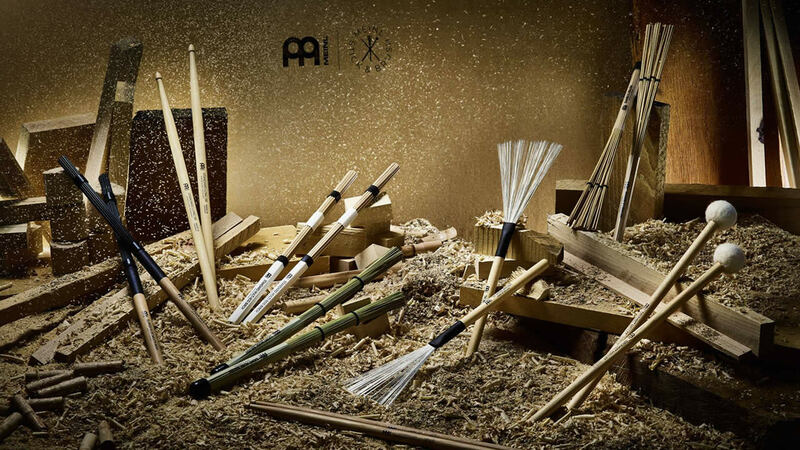 Play them both, or choose which works best for the room. 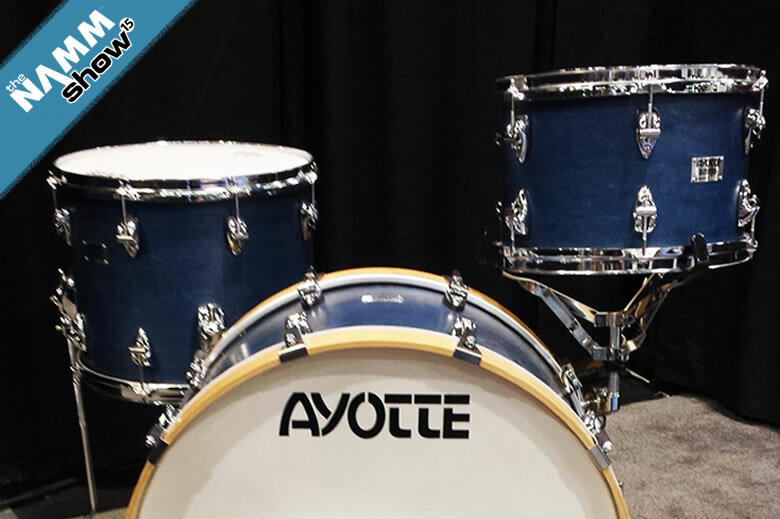 The new entry-level three-piece Bedford kit completes Ayotte's product matrix by offering a retail-ready drum set that captures the typical Ayotte sound at an affordable price. North American made - in Ayotte's home town in Bedford, Quebec, Canada - the set is available in denim-colored finish. 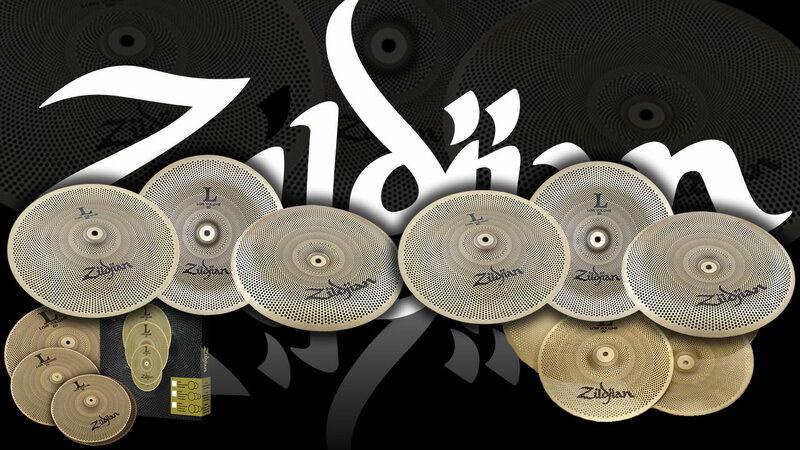 Sizes include a 22x12 inch bass drum, 12x8 inch tom and 14x11 inch floor tom. The Bedford series is a triple flanged version of Ayotte's Velvet series, which features eight-ply shells plus a full face wood hoop, and is offered in preconfigured shell packs.